To witness young and promising bands fall apart and become no more can always be a real shame. Especially when the music they make is of such high quality and the dreaded announcement comes from out of nowhere that the band will no long be continuing. This was sadly the case with Younger Youth. A two piece Indie outfit from out of LA. Fortunately for us fans Matthew Müller, Former lead singer, has continued hard at work making new music. This time under the moniker 'World's Most'. A summery splash of fluttering synths and long drawn out hazy vocals. Over four minutes of blossoming natural bliss. Graceful chord progressions and a final breakdown to die for. Müller's artistic flare beautifully shines through with his new project 'World's Most'. Sublimely indulgent with a modest nature that makes us yearn for an early springtime. Truly looking forward to hearing a lot more music over the course of this year. 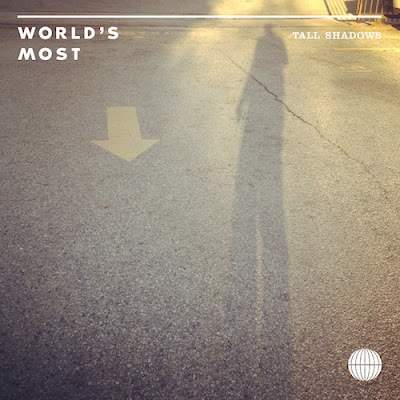 Tall Shadows is currently available to download for free via Bandcamp along with B side Honey Eyed. A sweet more down tempo guitar driven track. Plenty of dreamy synths and backed with Müller's trademark hazy vocals.